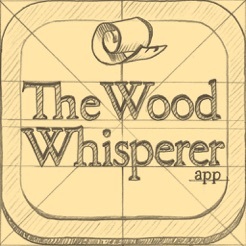 This is a completely new version of the Woodworking with Wood Whisperer app. Not only does it contain a bunch of new features as listed below, but it has a completely new interface re-designed from the ground up. We hope you enjoy! 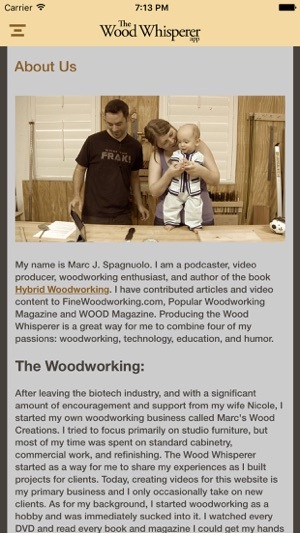 TheWoodWhisperer.com is a free woodworking resource featuring 100's of how-to woodworking videos, articles, shop tours and viewer projects. 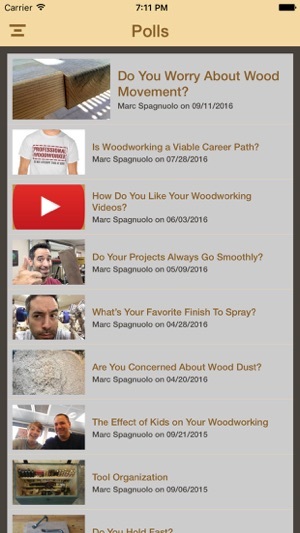 This app gives you convenient access to all of the best content from The Wood Whisperer. * Access to the Wood Whisperer video archive featuring category. Finding the videos you topics you want to watch has never been easier! * Ability to turn on Notifications so you don't miss a Flash Friday sale or new TWW video. 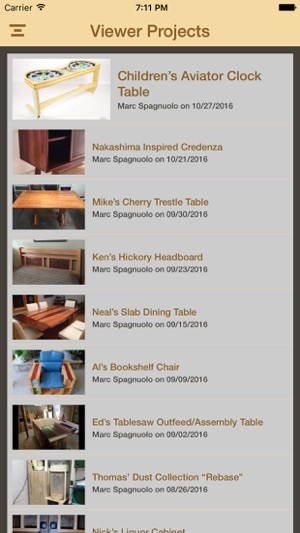 * 100's of woodworking articles, shop tours, viewer projects with a searchable interface and save them for later by adding them to your favorites. Commenting also improved to display all comments from website in articles. 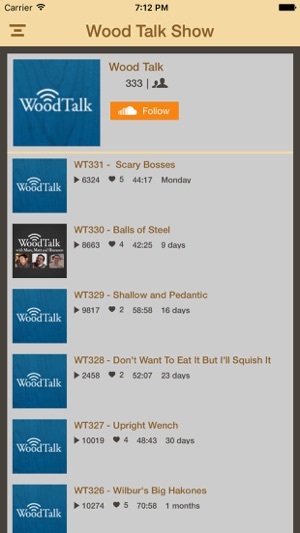 * Listen to the Wood Talk audio podcast right inside the app! 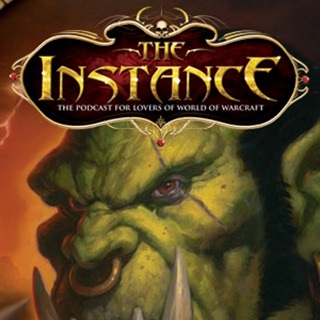 * Easy access to purchase anything from TWW Store or TWW Guild. * Both iPhone (6) & iPad compatible! Please note that this app is content intensive and it may take a few seconds to cache the posts in areas like shop tours & articles. 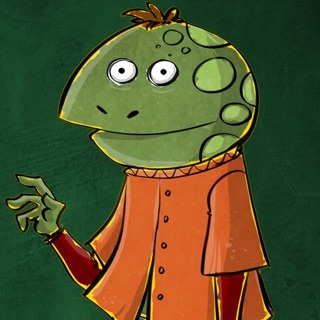 The app has a lot of great content but my issue with the functionality. It seems to be having issues playing g the videos. It would either cut out completely or not play the video at all.